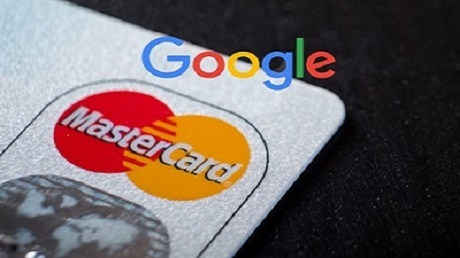 A Google spokeswoman declined to comment on the partnership with Mastercard but addressed the ads tool. "Before we launched this beta product last year, we built a new, double-blind encryption technology that prevents both Google and our partners from viewing our respective users’ personally identifiable information,” the company said in a statement. “We do not have access to any personal information from our partners’ credit and debit cards, nor do we share any personal information with our partners.” The company said people can opt out of ad tracking using Google’s “Web and App Activity” online console. Inside Google, multiple people raised objections that the service did not have a more obvious way for cardholders to opt out of the tracking, one of the people said. Seth Eisen, a Mastercard spokesman, also declined to comment specifically on Google. But he said Mastercard shares transaction trends with merchants and their service providers to help them measure "the effectiveness of their advertising campaigns.” The information, which includes sales volumes and the average size of the purchase, is shared only with the permission of the merchants, Eisen added. "No individual transaction or personal data is provided," he said in a statement. "We do not provide insights that track, serve up ads to, or even measure ad effectiveness relating to, individual consumers." Google is testing the data service with a “small group” of advertisers in the U.S., according to a spokeswoman. With it, marketers see aggregate sales figures and estimates of how many they can attribute to Google ads -- but they don’t see a shoppers’ personal information, how much they spend or what exactly they buy. The tests are only available for retailers, not the companies that make the items sold inside stores, the spokeswoman said. The service only applies to its search and shopping ads, she said. For Google, the Mastercard deal fits into a broad effort to net more retail spending. Advertisers spend lavishly on Google to glean valuable insight into the link between digital ads a website visitor an online purchase. It's harder to tell how ads influence offline behavior. That’s a particular frustration for companies marketing items like apparel or home goods, which people will often research online but walk into actual stores to buy. Since 2014, Google has flagged for advertisers when someone who clicked an ad visits a physical store, using the Location History feature in Google Maps. Still, the advertiser didn’t know if the shopper made a purchase. So Google added more. A tool, introduced the following year, let advertisers upload email addresses of customers they’ve collected into Google’s ad-buying system, which then encrypted them. Additionally, Google layered on inputs from third-party data brokers, such as Experian Plc and Acxiom Corp., which draw in demographic and financial information for marketers. But those tactics didn’t always translate to more ad spending. Retail outlets weren’t able to connect the emails easily to their ads. And the information they received from data brokers about sales was imprecise or too late. Marketing executives didn’t adopt these location tools en masse, said Christina Malcolm, director at the digital ad agency iProspect. "It didn’t give them what they needed to go back to their bosses and tell them, 'We’re hitting our numbers,’" she said. Then Google brought in card data. In May 2017, the company introduced "Store Sales Measurement." It had two components. The first lets companies with personal information on consumers, like encrypted email addresses, upload those into Google’s system and synchronize ad buys with offline sales. The second injects card data. It works like this: a person searches for "red lipstick" on Google, clicks on an ad, surfs the web but doesn’t buy anything. Later, she walks into a store and buys red lipstick with her Mastercard. The advertiser who ran the ad is fed a report from Google, listing the sale along with other transactions in a column that reads "Offline Revenue" -- only if the web surfer is logged into a Google account online and made the purchase within 30 days of clicking the ad. The advertisers are given a bulk report with the percentage of shoppers who clicked or viewed an ad then made a relevant purchase. 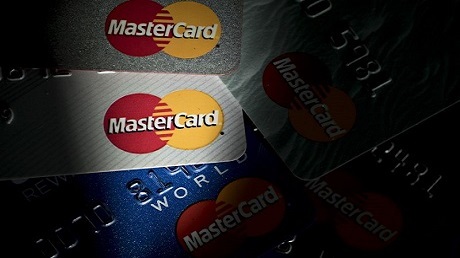 Mastercard's spokesman said the company does not view data on the individual items purchased inside stores. Google’s ad chief, Sridhar Ramaswamy, introduced the product in a blog post, writing that advertisers using it would have "no time-consuming setup or costly integrations." Missing from the blog post was the arrangement with Mastercard. And financial companies have plotted ways to tap into the bounty of digital advertising. 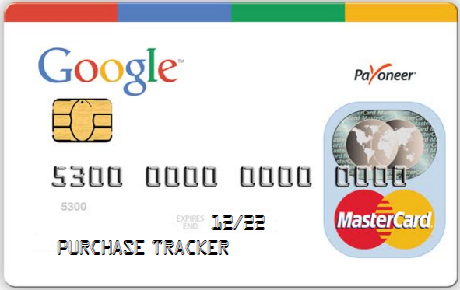 The Google tie-up isn’t Mastercard’s only stab at minting the data it collects from customers. The company has built out its data and analytics capabilities in recent years through its consulting arm, Mastercard Advisors, and gives advertisers and merchants the ability to forecast consumer behavior based on cardholder data. Google’s ad business, which hit $95.4 billion in 2017 sales, has maintained an astounding growth rate of about 20 percent a year. But investors have worried how long that can last. Many major advertisers are starting to funnel more spending to rival Amazon, the company that hosts far more, and more granular, data on online shopping. Some ad agencies have actively talked to Google about even more ways to better size up offline behaviors. They have discussed adding features into the ads system such as what time of day people buy items and how much they spend, said John Malysiak, who runs search marketing for the Omnicom agency OMD USA. "We’re trying to go deeper with Google," he said. "We’d like to understand more." Google declined to comment on the discussions.